Bright L.E.D. 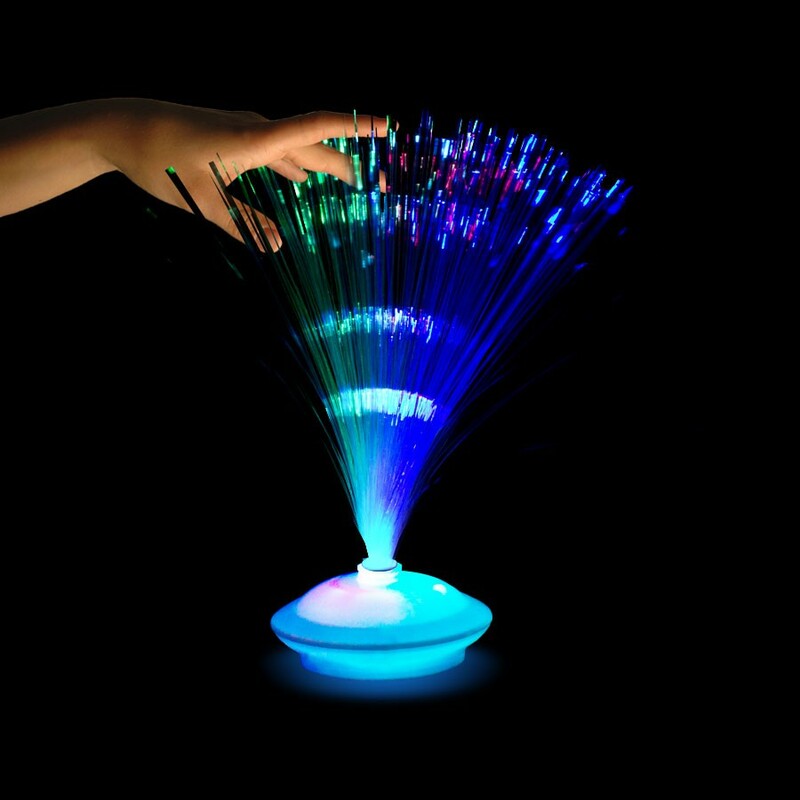 's rotate through a rainbow of colors in this battery operated table top Fiber Optic lamp. Base of the lamp is a White Translucent color, Individually packed in a gift box.